Steve Wyrick Ultra Magician is no longer appearing in Branson. Coming to Branson for an evening of magical feats and illusions, Steve Wyrick is sure to impress the entire family; watch as he weaves illusions together right before your eyes and makes you question reality with his talents. Wyrick has made a name for himself in the business. He brings with him his incredible talent that he has crafted since he was only six years old. By constantly wowing the audience with his incredible tricks, he has definitely made himself out to be a famous contender in the industry. Watch in awe as he disappears large vehicles, saws his assistants in half, and more. Audience members of all ages will appreciate his skills and wonder just how he manages to pull the illusions off. With a masterful performance and showmanship, the entire audience is sure to be kept on the edge of their seats during the entire performance! Wyrick has years and years of experience under his belt, including appearances on many different television programs. He has performed on Late Night with David Letterman, The Ellen Degeneres Show, The History Channel, and Celebracadabra. 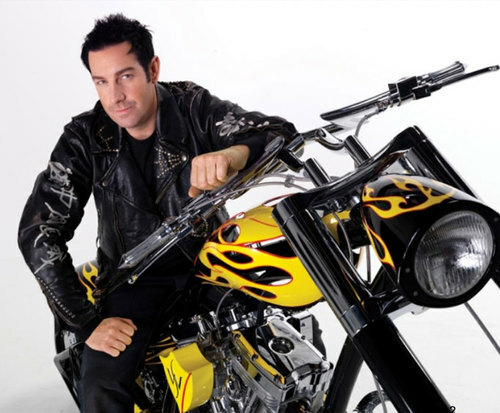 He has also appeared on American Chopper. The World's Greatest Magic series on NBC also featured him. Most notably, he has put on his own show in Las Vegas at the Hilton hotel as well as performing on multiple stages around the country and on cruise ships. He has performed for President Bill Clinton and performed at Planet Hollywood Resort & Casino in Las Vegas. Do not miss out on this talented performer as he returns to the Branson stage; your evening will be filled with thrilling illusions, tricks, and more so book your tickets today.